Visiting Hoi An, which is known as the city of lanterns, with kids was great! 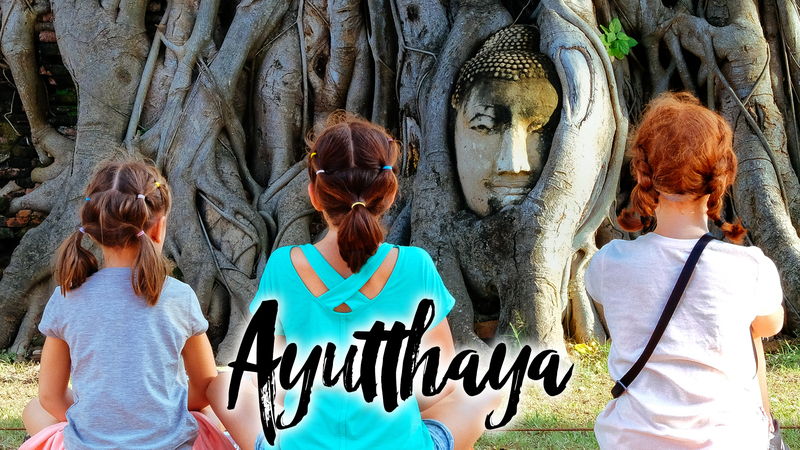 In this family travel vlog, we left Luang Prabang, Laos to go to Vietnam with kids. We started in Hoi Han Ancient Town, aka Hoi An Old Town, as well as check out some of the local beaches. We have 2 parts to our Hoi An family travel vlog so be sure and subscribe to see our family travel to Vin Pearl Land, Marble Mountain, Lady Buddha and more! Our family had an absolutely wonderful time in Luang Prabang, especially being there during the festival of lights, but we knew it was time to move on to our next destination Hoi An, Vietnam. Just south of Da Nang, which is in the middle of Vietnam, Old City Hoi An is entirely a UNESCO World Heritage site. Our first days there, we were beat, so we did a bit of exploring around old city and near our Airbnb. Be aware, you need to get a pass to even be in Old City, it doesn’t seem to be regularly enforced, but it isn’t very expensive and you get a handy map with the various temples and pagodas that you can find throughout Hoi An. We thoroughly enjoyed Hoi An at night, with all the lit up lanterns, beautiful bridges, night markets, and wonderful food. Putting a lantern into the river is one of those must do things in Hoi An, and the only way to properly do it is from a boat. We messed up the first time as there are “official” boats who can go by the main bridge, and then there are others, who get nothing of the sort and instead take you to some dark corner away from everything. Live and lean. We also got a chance to go to An Bang beach, which was just a few minute cab ride from where we were staying. The surf there was awesome and the kids thoroughly enjoyed riding the wave on boogie boards and playing in the sand! The other video is practically done, so be sure and subscribe to see Part II of Hoi An! We are a family traveling around the world. There are five of us, Ryan, Lua, and three girls, Aly, Lexi, and Paige. We love seeing how they each interact with the world in their own individual ways. Be sure and subscribe to see where our family travel adventures take us next. Check back every week for new videos. We’ll do our best to keep them coming! Ryan is a traveler who works just long enough to get to his next trip. He usually has numerous trips in the pipeline and, when possible, brings his family along with him.